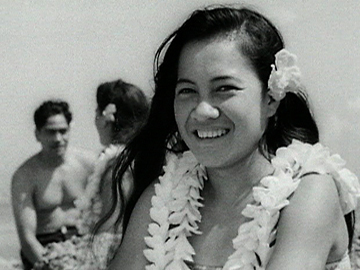 Real Pasifik is a roving celebration of Pacific food and culture. 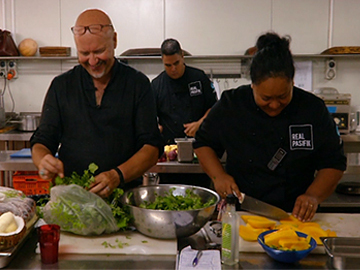 Inspired by chef Robert Oliver’s acclaimed cookbook Me’a Kai, the show follows Oliver as he travels across the Pacific, aiming to inspire resort chefs to showcase indigenous cuisine. 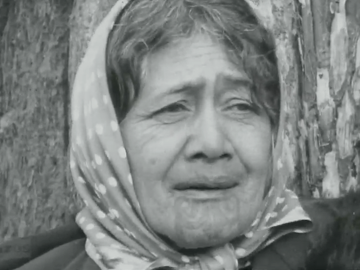 In this opening episode of the first series, Oliver heads to the Cook Islands where he visits a marae for a kai blessing, before tasting goat and taro from an an umu (earth oven). He goes lagoon spear fishing, samples pink potato salad (aka ‘mayonnaise’) and serves up a banquet of locally-cooked food to assembled VIPs. 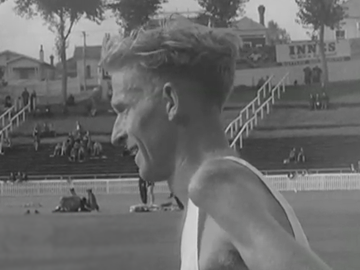 This Pictorial Parade visits the Auckland Athletic Champs at Eden Park, where a water-logged grass track makes the going tough. Peter Snell wins the half-mile and Murray Halberg the three-mile ("you know Mother I think he'll win" deadpans the narrator); then heads to the Bay of Islands for the 1st Underwater Fishing Champs, where a 235lb stingray is the biggest catch; and finally to the Turn and Gymnastic Circle of Hamilton, an acrobatic family fundraising for a world tour by scrub-cutting and pie-baking: "no job is too small or too big."